Click the button below to add the Zinc Rnage Hood "Montreal" to your wish list. Zinc range hood with smooth metal for wall mounting. The hood been decorated with rustic hammered straps underlining its classic form. 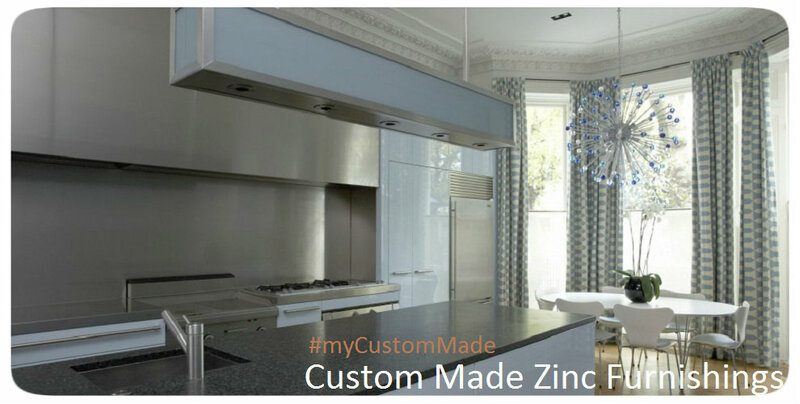 Since zinc has neutral color, it can be used for modern and traditional kitchens. You can buy "Montreal" range hood with optional hammered and rustic dark finishing. 200CFM insert is an option as well as customizing for your own insert installation.